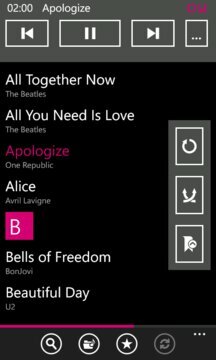 Audioplayer Monochrome is an amazing app to listen music on your phone! Access to your favourite tracks is easier than ever. Nothing more, just your favourite music! • Search all your tunes. Search a track by its full or partial name or by artist. • Automated playlists. 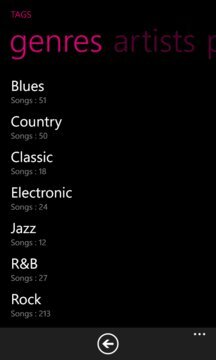 Three types of automated playlists: most frequently played tracks, recent tracks, and search history. • Fully saved user preferences. No need to re-adjust your settings or select playlists every time you launch the app. Program will do it all for you! • Selection of music (by albums, genres, artists, and playlists). • Shuffle and repeat functions. • Quick navigating for playlist. • Tap and hold a track for full details. • Play one track only (if you wish). Note: Use the volume buttons to access the rewind menu. The app is designed for playing music from your local media library.